Don’t carry someone else’s message – make your own statement with the Go GaGa eye-popping Messenger bag. With unique features like a patented ergonomic strap and a front pocket that you can access with the flap closed, the Messenger tells the world that you have a knack for finding the newest and smartest products on the market. The patent pending strap distributes the weight of the bag across your back and shoulders, so it won’t slide off or cut into your neck. The strap fabric is ideal for nursing Moms since it doesn’t put direct pressure on their breast. The bag is also designed for Dads, including a sliding a shoulder pad that cinches the strap for a more masculine look and feel. The front flap is angled so that you can access one front pocket even when the front flap is clasped shut – it’s perfect for easy access to a subway ticket, car keys or pacifier. 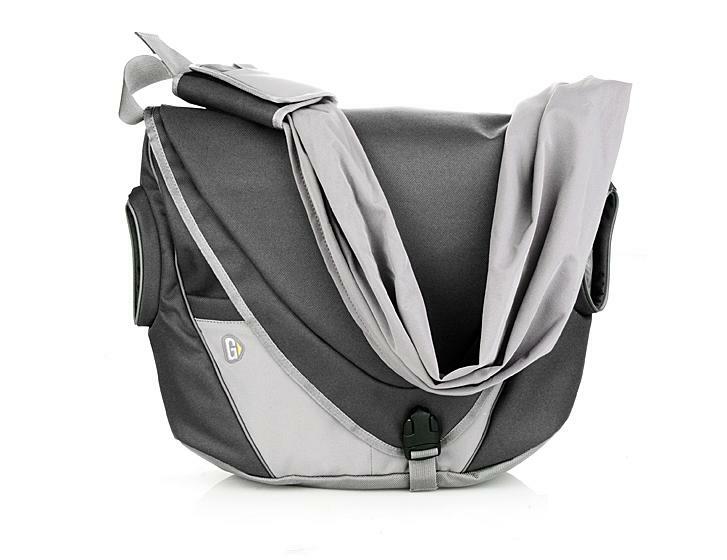 The Messenger’s extra large interior makes it perfect for parents of multiples or those using cloth diapers, plus it can fit up to a 15” laptop or change of clothes for the gym. The interior features 5 pockets and a foam divider that gives you organization when you need it, but moves out of the way when you don’t. The stroller straps are adjustable so they fit any stroller handle bar (even double strollers!) or can be used to carry a rolled up yoga mat or blanket for a playgroup or picnic. The insulated bottle pockets fit everything from baby bottles to Nalgene bottles and are angled so that you can get bottles in and out with just one hand. Healthy for the planet as well as for people – these recycled totes are made from 72% post consumer recycled fabric by a fair trade certified manufacturer in Vietnam. Accessories included: Matching changing pad and shoulder pad with cell phone/iPod pocket. Win a Messenger bag. Last date for entries is April 19, 2011.